In the era of streaming it’s often easy to get lost in the mire of equally, pro-active competitors, but if I was to say that you could garner 500k steams off your next release as an unsigned artist – most people would bite my hand off. This is precisely what young London based artist ‘A Jah’ has already achieved in his formative career with his 2018 breakout single ‘Lingala’, which gained international attraction. This particular release is called ‘Selfridges’. The sound is crisp and well balanced with lots of clarity between the layers. The highs and lows push through nicely, whilst tubular bells give a gothic hint – like beat church. Diligent lyrics focus on the experience of living an extravagant lifestyle. 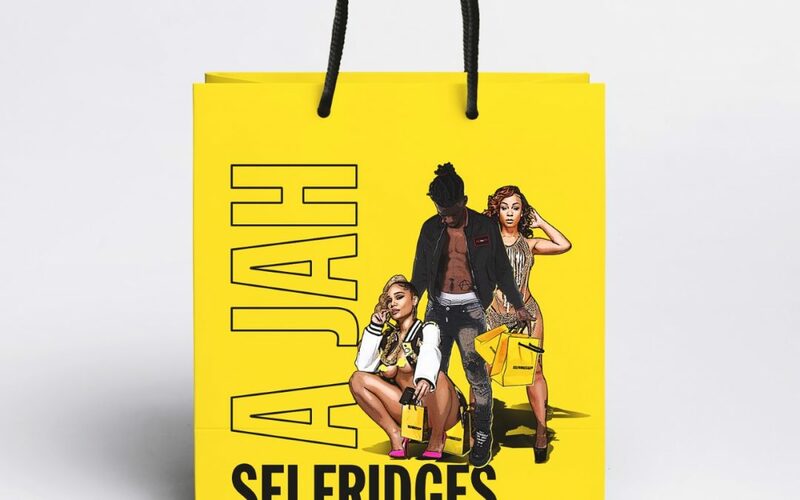 Jah delivers hypnotic melodies over eerie productions that project his signature sound, and ‘melodies’ is the operative word, because the track itself only has three chords but the vocal melody is very intriguing – it adds a point of aural reference. Beat heavy music can often be a slave to drums and not vocal but I think on this occasion the vocals really drive the track and give it that all round appeal both in the clubs and on the radio. The music video and release is dropping 18th April 2019 on all platforms and YouTube.